Since 2016 many members of the partner institutions worked intensively together to prepare the proposal. In a series of working groups, committees, and management meetings, the process involved hundreds of researchers and other members of the universities. Freie Universität Berlin, Humboldt-Universität zu Berlin, Technische Universität Berlin, and Charité – Universitätsmedizin Berlin have completed their proposal within the German government’s research funding competition, the Excellence Strategy. On December 10, 2018, the three universities submitted the document to the German Council of Science and Humanities in Cologne. Under the title Berlin University Alliance – Crossing Boundaries toward an Integrated Research Environment, the four partners describe their plans, the special features of the Berlin consortium, and the opportunities they see for this unique regional collaboration in research and teaching. By applying together in the Excellence Strategy, the Berlin universities and Charité aim to expand and institutionalize their cooperation. The partner institutions are planning an integrated research area that will bundle the strengths of the separate institutions, thus creating new academic potential. Their aim is to develop innovative research collaborations that will be able to address specific societal challenges of global significance in a targeted and flexible way. The partners plan to foster continuous knowledge exchange between research and society in order to draw on various perspectives in research, and to promote better understanding of and appreciation for academic work and research findings in society. In addition, the partners wish to pursue a common agenda for developing and promoting the value, quality, integrity, and credibility of research as a way of reacting to recent debates about the loss of confidence in scientific findings. 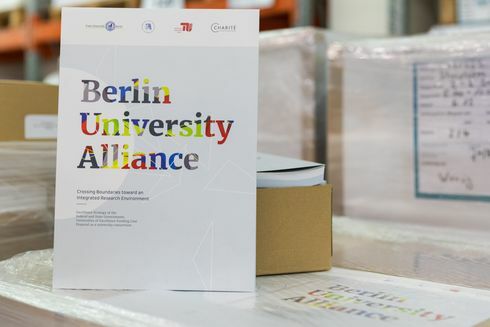 The Berlin University Alliance also aims to enable outstanding young scholars to pursue unique career paths in closely networked structures. In addition, the Alliance aims to systematically organize and intensify the ways in which the partners share resources for the benefit of all involved and of Berlin as a research hub. The decisions in the Universities of Excellence funding line of the German Excellence Strategy will be announced on July 19, 2019. The Berlin partners have already been very successful in the Clusters of Excellence funding line: On September 27, 2018, they learned that seven of their proposals for Clusters of Excellence were approved for funding. As of January 1, 2019, these interdisciplinary research projects will receive annual funding of up to ten million euros for an initial period of seven years. Proposals for university consortia are being accepted for the first time within the Universities of Excellence funding line of the German government’s Excellence Strategy. In the previous national research funding competition, the Excellence Initiative, Freie Universität Berlin won the status of University of Excellence in 2007 and in 2012. Since 2012, Humboldt-Universität zu Berlin has also been one of the eleven German Universities of Excellence.